According to the Croatian newspaper „Jutarnji list“, Austrian OMV has sales talks with the Russian publicly held oil company Zarubezhneft. 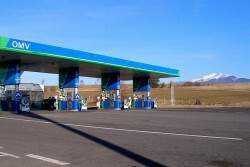 91 petrol stations in Croatia and Bosnia should be sold. OMV did not comment this report.